The Rise of the Social Enterprise (Part 3): Are Humans and Robots Smarter Together? Editor’s note: This is the third and final part in Spend Matters’ three-part series covering Deloitte’s 2018 Global Human Capital Trends Report. Robots are not our overlords (yet), but they will be our colleagues — if they aren’t already. According to Deloitte’s survey of 11,070 business and HR professionals around the world, the findings of which are published in the colossal 2018 Global Human Capital Trends Report, 47% say that their organizations are already undertaking automation projects. 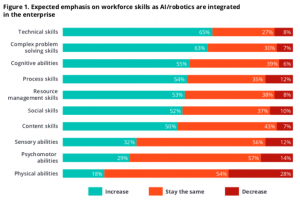 Twenty-four percent are using artificial intelligence and robotics to perform routine tasks, 16% are using automation to augment human skills, and 7% are restructuring work altogether. Spend Matters has been covering this report in a series of posts. Part 1 covered the importance of a “symphonic” C-suite and an individualized compensation program, and Part 2 discussed the issue of corporate citizenship vis-à-vis the rise of the social enterprise. Today’s post will turn to disruptive digital tech and how AI, automation and robotics will change work. 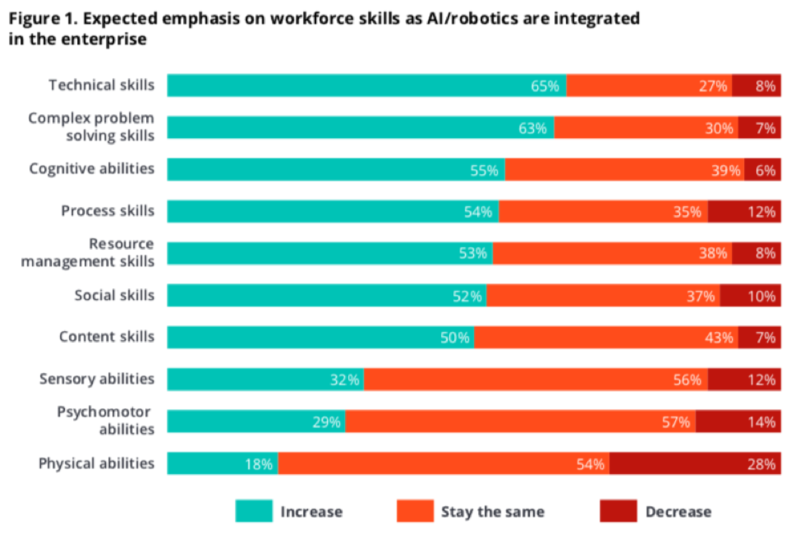 Respondents to Deloitte’s survey expect AI and robotics use to increase at their organizations, with 42% saying that AI will be “widely deployed” at their organizations within three to five years, up from 38% in 2017. However, while 72% of the respondents view these technologies as important, only 31% say they are ready to address it. And humans will be needed to train these robots — hence leading to the rise of job titles like “bot trainer,” “bot farmer” and “bot curator,” according to the report. The most in-demand job skills will be those that are most difficult to automate. Think problem solving, critical thinking and communication skills. The workplace is increasingly resembling a network, as more people work on projects outside their functional area and companies reorganize themselves into more of a flat, team structure. Nine out of 10 participants in Deloitte’s survey say that employees at their organization spend time on projects that are not in their functional area, and 35% say that employees do so on a regular basis. As was covered in Part 2 of this series, the work-life line is also blurring, as communication tools make it possible for people to be in contact with their colleagues and do work outside of the office. A majority of the respondents think that collaboration platforms and work-based social media will see growth, while 44% also forecast that face-to-face meetings will decrease in the future. The topic of people analytics clocked in as the second highest ranked trend in terms of importance in Deloitte’s survey. Put simply, people analytics is a data-driven approach to employee management. Advanced analytics can harvest and analyze data from employees’ emails, video interviews and voice communications. Organizational network analysis software seeks to identify fraud, abuse, poor management, even high stress levels. As you probably have guessed, the privacy concerns here are numerous, and people analytics comes with plenty of risks — from legal liability to employee backlash to harm to the consumer brand.